Price: $17.16 ($0.57 / count) & FREE Shipping on orders over $25. B-12 Energy BerryMelts Formula now includes the super fruits Acai and Goji Berry. 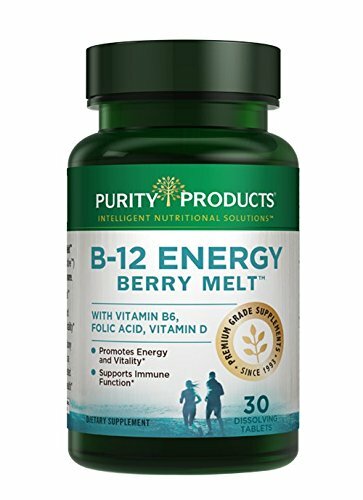 This innovative Vitamin B-12 energy-support formula is designed to give you a safe energy melt in a convenient, quick dissolve mini-tablet. The ideal alternative to caffeinated pills, energy shots or beverages, B-12 Energy BerryMelts fit easily in a purse or a pocket, making it perfect for people who need a B-12 energy lift even when they’re on the go.